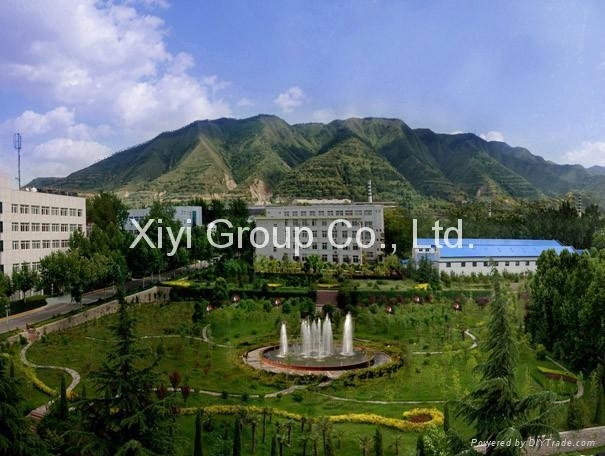 Other : XiYi prossesses of a technical center of provincial level ; national pressure test center; industrial automation instrument research institute, two join ventures and 20 subsidiaries. To actively developing the international market: we setup the HOVER INVENT METER CO., LTD , Mainly responsible for international business.--- It is restructuring from xi'an instrument factory pressure branch factory and special research institute, located in xi 'an ( the equipment manufacturing industry base ), and by Hover Invent Meter Co.Ltd holding 100%. We will with excellent product quality , good corporate reputation , integrity after-sales service ,to create a better tomorrow together. II.The Group Mainly Have As Follows: Branch Plant. 1). Pressure Instrument Branch Plant. 2). Temperature Instrument Branch Plant. Our Group have two number of high quality technicians , has gotten life member qualification in Chinese Metrology Technology Committee, respectively in pressure and temperature field. 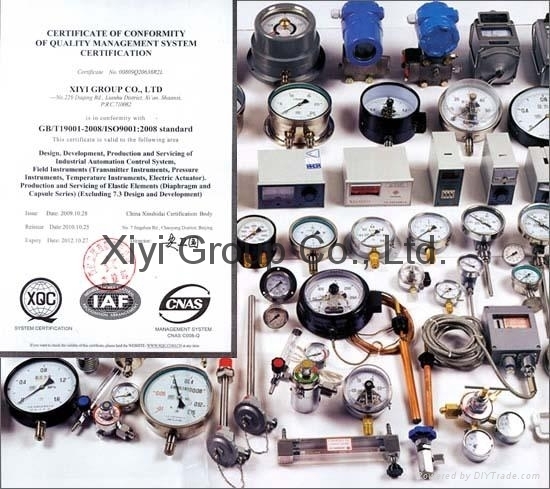 Also, our experts have joined the drafting team of "National Metrological Verification Regulation" and "National Machinery Industry Standards" for digital pressure gauge, pressure calibrator, standard platinum resistance thermometer and other items. In order to enjoy the trust of customer, we can assure them of the satisfaction of making products and services by the definitive quality standard. According to the customers requirements, the company has drawn up "Quality Assurance Manual" based upon the GB/T19001-2000 ( idt ISO 9001:2000) QUALITY SYSTEM (Design and Development, Production, Installation and service), and will take it as the quality activity criterion to carry out the complete quality management.